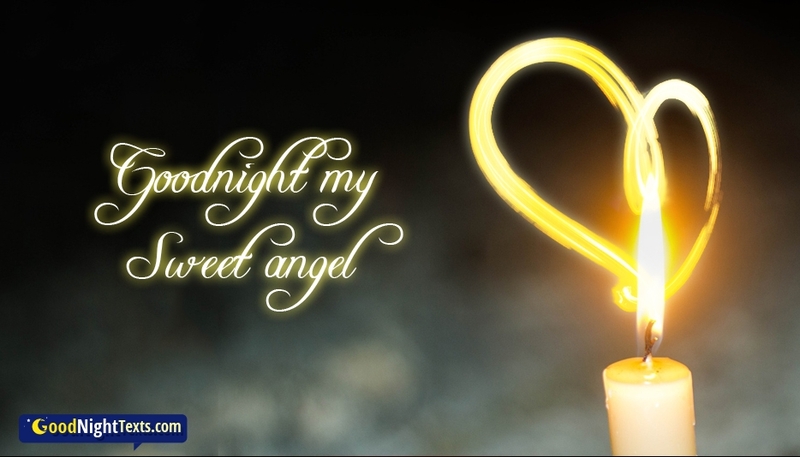 A cute candle good night image wish to share with your daughter/love at free of cost. Give a sweet end for the day with your good wish. A night is the mesmerizing and most gleeful part of the day. Wishing your special people at this time is always a special feel. Free share this "Goodnight My Sweet Angel" wish through any social media.